Go to any location where the rich text editor is used, for example try to add an Assignment to a course. 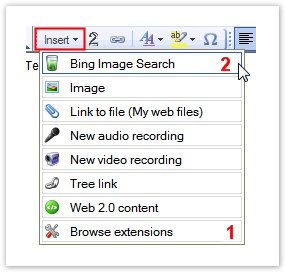 To use the plugin one must first add it to the insert list. This is done by clicking "Browse extensions"  and finding your plugin in the list of available extensions. Click "Include" to make it appear in the drop down . Click on the plugin you just added to your insert list to insert an instance of the plugin to your note. 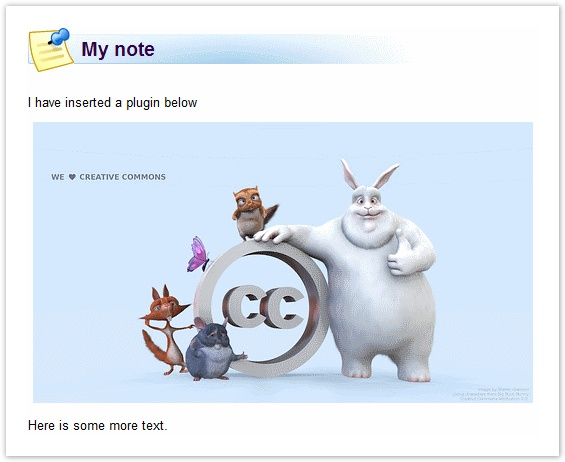 You will be taken to the plugin site to generate some content (e.g. draw an image or choose an article). When you're done with that the plugin will post the data back to itslearning and you will see a placeholder for it in the rich text editor. The plugin placeholder image will be placed where your cursor was located when you launched the plugin from the insert menu. You can reposition the plugin content by moving the placeholder image. When the teacher chooses a plugin from the insert menu authentication is sent to the plugin site in the query string. 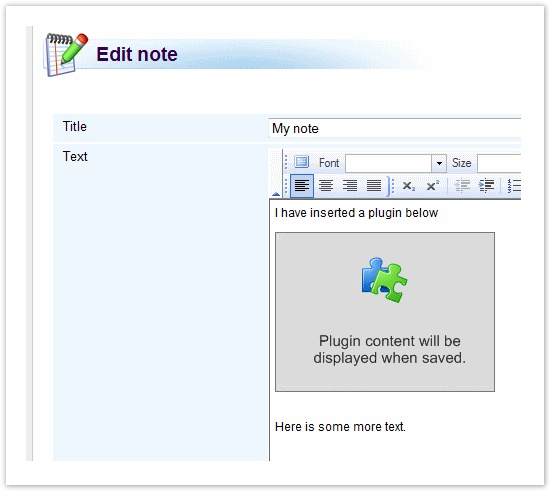 Technically, a plug-in sends HTML content to itslearning which itslearning inserts into the text editor. Available plug-ins will be presented to the teacher in a drop down in the rich text editor. When the user selects a plug-in he is sent to the external plugin web site. Depending on the plug-in site the user might interact with the web page to create or customize the content of the plug-in. The content is then sent back to itslearning and inserted into the editor. 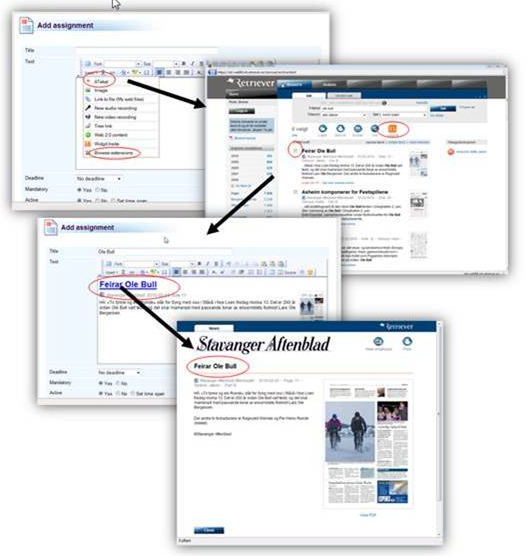 With the plug-in from Atekst teachers and students easily can embed newspaper articles from the all Norwegian news archives directly in the text editor in itslearning.